The Fine Arts Library has subscribed to the online database produced by the National Palace Museum in Taipei. 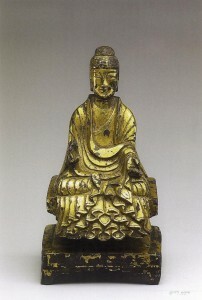 The site contains high quality digital images of objects in the Museum’s collection as well as catalog information about each object in English, Chinese and Japanese. There are also chronologies and other documents related to the history of Chinese art. Access is also provided to digital copies of all Museum periodical publications (1983-2010). One can browse the table of contents of every issue by year of publication and by volume number. In addition, you can browse articles by topic (e.g. painting, prints, archaeology, etc.). Full text downloads and prints are available. However, please note that the publications are in Chinese only. The database is available as an E-Resource on the Harvard Library portal.